Casual wear, work, golf, fishing, hunting, hiking, travelling .... You are invited to enjoy the high quality of our fabrics, excellent workmanship and affordability of our Aussie 2 Pocket Vest, 100% Australian made in our own factory located at Slacks Creek, Brisbane, Australia. 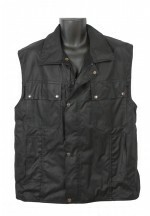 Features of our Aussie 2 Pocket Vest include: ► Made from excellent quality Oilskin or Durapel fabric (see tabs above All about our Oilskin and Durapel fabrics) ► Linings available in different weight fabrics from cool cotton to .. 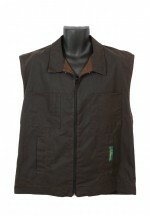 Fishing, hunting, hiking, travelling, working, playing a round of golf, casual wear .......... You are invited to enjoy the high quality of our fabrics, excellent workmanship and affordability of our Aussie 4 Pocket Vest, 100% Australian made in our own factory located at Slacks Creek, Brisbane, Australia. Features of our Aussie 4 Pocket Vest include: ► Made from excellent quality Oilskin or Durapel fabric (see tabs above All about our Oilskin and Durapel fabrics) ► Linings available in different weight .. 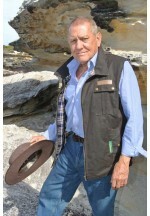 Working, socialising, fishing, hunting, hiking, golf, travelling .......... You are invited to enjoy the high quality of our fabrics, excellent workmanship and affordability of our Aussie 8 Pocket Vest, 100% Australian made in our own factory located at Slacks Creek, Brisbane, Australia. This vest easily adapts to the familiar orange/navy or yellow/navy workwear vest with reflective tape. 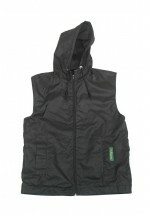 Features of our Aussie 8 Pocket Vest include: ► Made from excellent quality Oilskin or Durapel fabric (see tabs above All about our Oilski..
Lots of pockets for travelling, tertiary students, camping, casual wear, skateboarding, bike riding, tobogganing in the snow ………….. Where ever you need secure pockets to carry your gear. You are invited to enjoy the high quality of our fabrics, excellent workmanship and affordability of our Aussie Hooded Vest, 100% Australian made in our own factory located at Slacks Creek, Brisbane, Australia. Features of our Aussie Hooded Vest include: ► Made from excellent quality Oilskin or Durapel fabric (see tabs above All about our Oilskin and Durape..
Smart casual, super casual or work, this vest will fit. You can wear it almost anywhere. 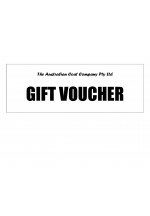 You are invited to enjoy the high quality of our fabrics, excellent workmanship and affordability of our Claybourn Down Under Vest, 100% Australian made since 1910 in our own factory located at Slacks Creek, Brisbane, Australia. Features of our Claybourn Down Under Vest include: ► Made from excellent quality Oilskin or Durapel fabric (see tabs above All about our Oilskin and Durapel fabrics) ► Linings available in di.. Traditional Vest that has everything you need and looks good too. Protection for working out in the cold or in light rain, or just to keep you warmer when camping, fishing or going out for the day or night. You are invited to enjoy the high quality of our fabrics, excellent workmanship and affordability of our Claybourn Vest, 100% Australian made since 1910 in our own factory located at Slacks Creek, Brisbane, Australia. Features of our Claybourn Vest include: ► Made from excellent quality Oilskin or Durapel fabric (see tabs above All..
Classic versatile Vest. Comfortable to wear, once you have one you will wear it everywhere. 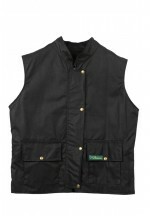 You are invited to enjoy the high quality of our fabrics, excellent workmanship and affordability of our Wildlife Man Vest , 100% Australian made in our own factory located at Slacks Creek, Brisbane, Australia. 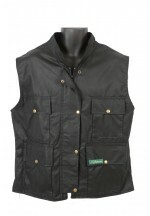 Features of our Wildlife Man Vest include: ► Made from excellent quality Oilskin or Durapel fabric (see tabs above All about our Oilskin and Durapel fabrics) ► Linings available in different weight fabrics ..